12886 Summer Camps in for "sunrise"
Washington National is proud to host junior golf camps near Seattle, Washington. Enroll today and get better this summer! Train hard, improve your game and make new friends at Nike soccer day camp in Cape Cod! Focus on all aspects of the game this summer. Open to all abilities. Our tennis camp in Carpinteria will help you take your game to the next level by offering Day and Overnight camps held at the Cate School, south of Santa Barbara, California. All-girls summer camp in a setting that emphasizes leadership and tech innovation. Join camp director Graeme Jennings for an intensive week of soccer! Soccer enthusiasts looking to improve their skills will work hard, make new friends and have fun! 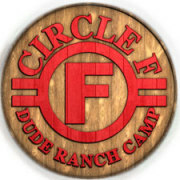 Since 1952 in Lake Wales, Florida, Circle F Dude Ranch Camp promises a FANTASTIC camp!